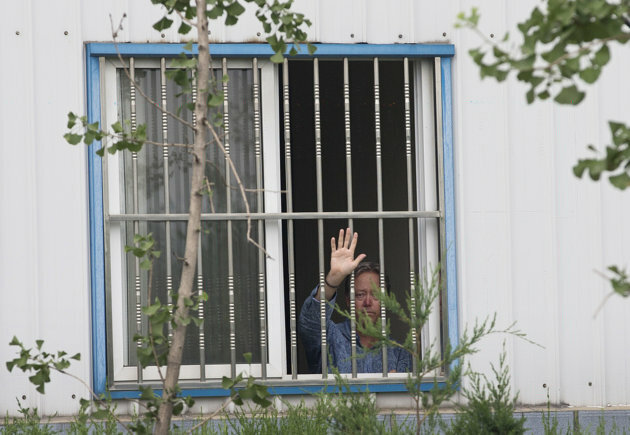 BEIJING (AP) — An American executive said Monday he has been held hostage for four days at his medical supply plant in Beijing by scores of workers demanding severance packages like those given to 30 co-workers in a phased-out department. Chip Starnes, 42, a co-owner of Coral Springs, Florida-basedSpecialty Medical Supplies, said local officials had visited the 10-year-old plant on the capital’s outskirts and coerced him into signing agreements Saturday to meet the workers’ demands even though he sought to make clear that the remaining 100 workers weren’t being laid off. Representatives from the U.S. Embassy stood outside the gate but said they had no comment. The protest reflects growing uneasiness among workers about China’s slowing economic growth and the sense that growing labor costs make country a less attractive place for some foreign-owned factories. The account about local officials coercing Starnes to meet workers’ demands — if true — reflects how officials typically consider quashing unrest to be a paramount priority. It is not rare in China for managers to be held by workers demanding back pay or other benefits, often from their Chinese owners, though occasionally also involving foreign bosses. It is unusual for such an incident to take place in Beijing because most such ventures have moved elsewhere in China because of high costs in the capital. I do not feel sorry for him. His company went to Beijing for “cheap” labor, now he wants to move it again for even “cheaper” labor! Treating his employees in Beijing like they did in the USA! Making workers expendable while moving on to other locations. Loyalty to employees means nothing, neither does honor!